Bret: It’s a chicken egg situation. Murray: What does he mean, chicken? Jemaine: Well, you know… what came first the chicken or the egg? Murray: Well, that’s irrelevant, isn’t it? Stupid. The chicken obviously. Bret: Well, then where’d the chicken come from? Murray: Well it came from the… oh. Bret: Yeah, see. The egg. Murray: You’re the egg. 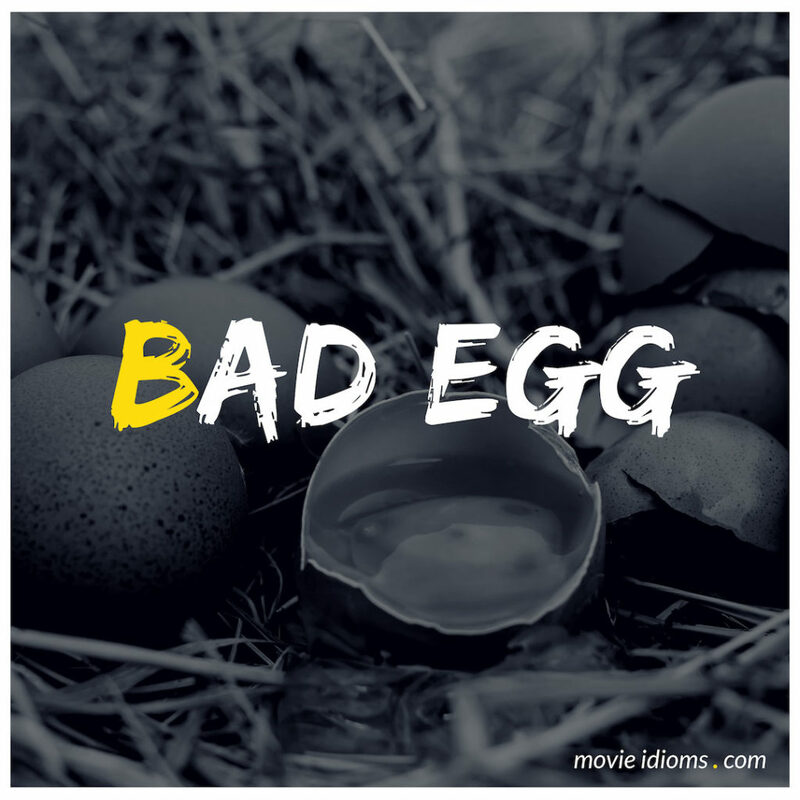 You’re a bad egg. You’ve derailed this meeting with another obscure comment. Dennis: But anyone who says there’s no such thing as a bad egg obviously hasn’t worked in social services. Willy Wonka: She was a bad egg. Mr. Salt: Where’s she gone? Willy Wonka: Where all the other bad eggs go: down the garbage chute. Mr. Salt: Oh, the garbage chute. Where does it lead to? Willy Wonka: To the furnace. Mr. Salt: The furnace! She’ll be sizzled like a sausage. Willy Wonka: Well, not necessarily. She could be stuck just inside the tube. Mr. Salt: Inside the… Hold on! Veruca! Sweetheart! Daddy’s coming! Willy Wonka: There’s gonna be a lot of garbage today.